Wu Gan has been for many years one of the leading and most-admired human rights activists in China. After criminal detention for over two years he will finally be brought to “trial” August 14 in a secret proceeding. 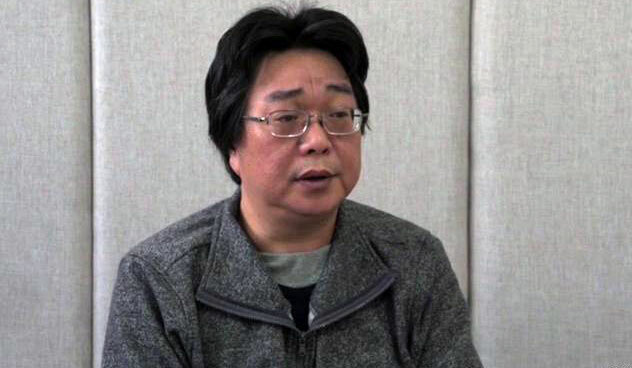 Wu Gan’s pre-trial statement is surely one of the most moving and accurate descriptions I have read of the Chinese government’s manipulation of its legal system to stamp out freedoms of expression. This account of his personal experience encapsulates virtually all the abuses that the Xi Jinping regime has been committing against human rights activists and their courageous lawyers. It is tragic testimony to the pathetic attempts of the Communist Party to drape its oppression in the mantle of “law”. To me the saddest aspects are its reminder of the forced collaboration of China’s judges with its police, prosecutors and Party legal officials in suppressing the constitutionally-prescribed rights and freedoms of the Chinese people. Wu Gan’s statement ranks with those of China’s greatest martyrs to the cause of democracy, human rights and a genuine rule of law, including the late Liu Xiaobo. It will inspire those few activists inside and outside the country who still dare resist the current onslaught. Unfortunately, because of the regime’s monopolization of the media, its message will not be seen by most Chinese. Nor is it likely to be noticed by much of an outside world distracted by too many crises closer to home. Wu Gan's pre-trial statement in Chinese, source: China Change. Jia Jinglong, a villager who killed a local official after his house was demolished without proper compensation, was executed on Tuesday. This landmark case has multiple dimensions. The sense of injustice is spreading in China, and it is always fueled by cases that ordinary Chinese can grasp that violate their basic, widely-shared principles of fairness and humanity. This case blatantly demonstrates the inequality of the system. Another poor villager executed while well-connected murderers are often spared. Killing an official, however cruel or arbitrary his misconduct may have been, usually results in harsher punishment than killing a farmer. But much more is involved in Jia’s case. Housing demolition and its association with corruption and failure to observe prescribed acquisition procedures have sparked huge resentment and popular reactions, of course. Moreover, there is often a denial of due process – fair criminal procedure – in this instance reportedly by not allowing competent counsel to take part in the defense in a timely manner and by denying defense counsel adequate time to prepare the defense. In this case another aspect that should have been considered by the courts was the defendant’s mental state. Here, as in some earlier well-known cases, the accused had obviously been brooding for a long time about the unfairness of being deprived of his home without adequate compensation and, consequently, losing his anticipated marriage. Had this aspect been investigated by the court and psychiatric experts, as Chinese law makes possible, it might well have resulted in a diminished sentence. But Chinese courts are reluctant to inquire into the defendant’s mental condition if the victim was an important local official or a police officer.. There is also the broader question of the courts and public opinion. There have been many examples of bloodthirsty public opinion causing lenient courts to reverse their verdicts and there have been many cases of sympathetic public opinion successfully pressing courts to reduce harsh sentences. Sometimes the Party mobilizes the media in a preferred direction or at least allows a mass sentiment to develop. 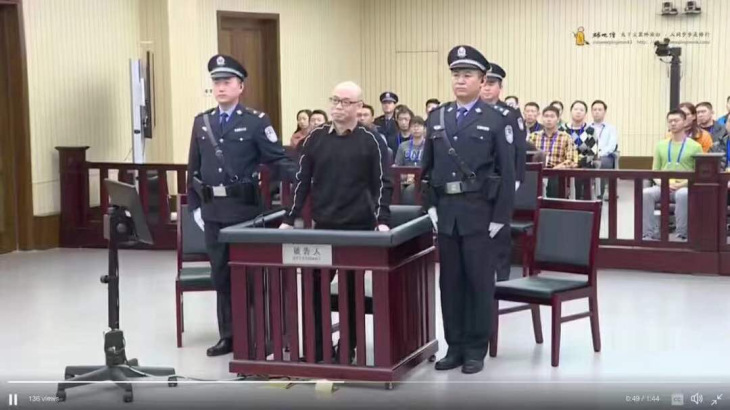 Chinese judges have sometimes discussed with foreign specialists the sentencing dilemmas confronting them and asked for advice and information about how other countries, including the U.S., deal with the problem. This case may also add to the pressure in China for finding some effective way to allow ordinary people to have a say in the administration of justice. This problem has been important throughout East Asia - in Japan, South Korea and Taiwan, each of which has resorted to different solutions. In China’s Henan Province, the High Court at one point claimed it was introducing an American-style jury system, but that, of course, turned out to be misleading. China’s “people’s assessors” system, imported from the USSR in the ‘50s, has long been recognized as an insignificant and inadequate way to allow laymen to sit and vote with professional judges. Finally, as the Jia case illustrates, public speech in China is, once again, being increasingly suppressed. Will people soon be afraid of even expressing themselves in private conversations, as during the Cultural Revolution?